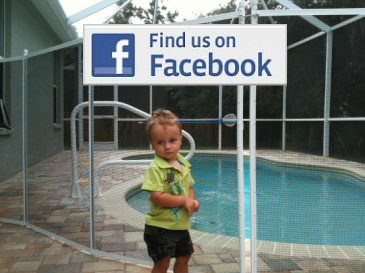 In Tampa Bay, 80% occur in unsecured home pools. Pool Safety Fences and Nets save lives! Pool Guard of Tampa Bay has installed thousands of Pool Safety Fences, Pool Safety Gates and Pool Safety Nets in the Tampa Bay area for over a decade so you can feel confident we can protect your pool too. We have won numerous awards for customer service and business ethics and we are BBB A+ rated. We offer the highest-quality, American made, Pool Guard brand removable Pool Safety Fencing and Pool Nets backed by a Limited Lifetime Warranty. Let our trained Pool Safety professionals provide you with the peace of mind of a quality Pool Fence or Net installation done right the first time. Or click the button above to have us call you. Why should you select Pool Guard of Tampa Bay to protect your Pool? WE KNOW POOL SAFETY FENCING: Pool Guard of Tampa is Tampa's oldest and largest Pool Fence installation company. Pool Guard Manufacturing has over 18 years experience in removable mesh pool Safety fence manufacturing, and installation. Pool Guard's Pool Safety fence construction is the envy of the Pool Safety industry with strong, QUAD CORE aluminum fence poles, a self closing, low threshold, Thru-close gate system backed by a Limited lifetime warranty. Pool Guard™ removable swimming pool fencing and self locking Pool Safety gates are manufactured with the highest quality materials available, to help prevent accidental drowning. Trusted by several thousand local customers for over 15 years in Tampa Bay. Our Swimming Pool Safety fencing, which we manufacture locally, is ASTM Certified and backed with a lifetime manufacturer warranty. Angieslist.com, Google.com, Yahoo.com, Bing.com and the Better Business Bureau. We are Licensed #150177 and Insured. When is the best time to have a Removable Pool Safety Fence installed in Tampa Bay? The simple answer is: Pool safety fences can never be installed too soon. Many people find that they have a greater comfort level if the swimming pool safety fence is installed while their baby is still in the infant stage. Also, many young families whose baby is not yet mobile have friends who visit with slightly older babies and toddlers. The pool safety fence being installed and in place gives them an added sense of protection. The National Safety Council, pediatricians and most drowning prevention committees recommended to install a pool safety fence or other baby barrier like a Swimming Pool Safety Net or Pool Safety Cover by the time the baby is between the ages of 6 to 9 months old. The reason for this being the perfect age is because although the baby may not yet be walking, a small child can't verbally communicate. They can't tell their parents that "this week I'm crawling, but next week I'm going to be walking". By having a Pool Guard pool fence installed BEFORE a baby is mobile, parents are guaranteeing the safety of their children around the swimming pool. For families who are moving into a new home with a swimming pool, the best time to have a pool safety fence installed is the day you close on the home. The pool is a novelty to the children and moving day is always hectic. People are in and out and doors are left open. Everyone is distracted and too many times nobody is watching the little ones. If a pool safety fence is installed before a family actually moves into the home there is little chance of an accident. Even if a small child turns 6-9 months of age during the winter or a family moves into a new home with a pool during the winter months, it's time for the swimming pool fence. The pool is outside 365 days a year - a swimming pool safety fence should be there to protect against drowning as well. Accidents know no seasons. Pool Guard of Tampa offers next day and “day of move in” Pool Fence installation throughout Tampa Bay, Cities such as but not limited to: Lutz, Largo, Westchase, Seminole, Brandon, Lithia, Wesley Chapel, Palm Harbor and Oldsmar. We provide free estimates and accept all major credit cards. Mention this add and save $50 off a pool safety cover or Pool Net.